The Internet speed test say I have a fast connection, but why does everything still seem so slow? This question was answered on April 11, 2019. There are few things these days as frustrating as a slow Internet connection, especially when you’re paying for a ‘fast connection’. Think of your rated Internet speed the same way you think of a speed limit sign. Even though the freeway sign says you can go 75mph, you’ve got no shot of going that fast during rush hour because of the congestion on the freeway. The time of day, the website you’re trying to connect to, whether you’re using Wi-Fi or have a wired connection, the age of your modem, an old cable or how many people on your on network are currently using the same connection just to name a few. There are a couple different ways to test your connection that both represent real-world situations. Most testing sites only offer to provide the faster ‘multi-thread’ test, which means it’s measuring your speeds across multiple connections, which represents a typical experience when visiting many websites. One test site that I know has no affiliation to any of the ISPs and also allows both single and multi-threaded testing is https://testmy.net. Their test results are more reflective of your actual speeds and far more detailed. 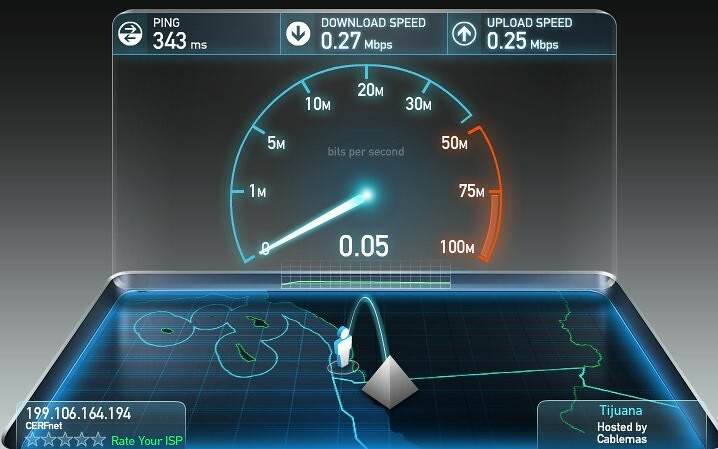 They also offer an Automatic Speed Test that will repeatedly test your connection over a period of time and log the results. Your results will be compared to others from the same host as well as in your city and they have suggestions to help you improve your Internet speeds (http://bit.ly/2VzYiXI).